This entry was posted in Review and tagged 1987, androids, cyborgs, Gary Oldman, Google, I am the law, Joel Kinnaman, Michael Keyton, reboot, reimagining, remake, Robocop, robots, Samuel L. Jackson, social commentary. Bookmark the permalink. I think I’m the only one who flat out hated this film. 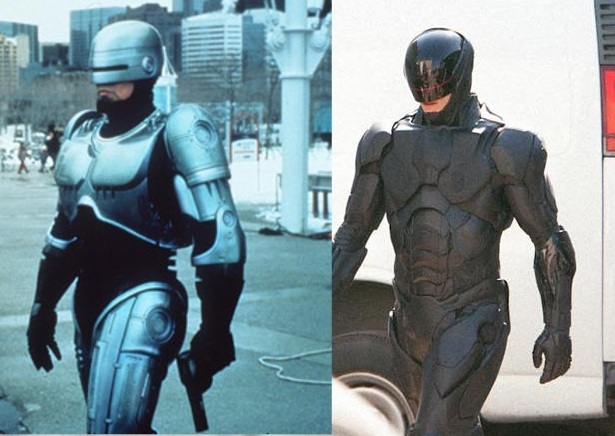 There didn’t need to be a remake for RoboCop, but at least it wasn’t horrifying to watch, as many had originally predicted it as being. Just a bit dull, that’s all. Good review. Ah yeah definitely not a horrifying watch. I also expected something bad to come of it. I’d put it with Total Recall – remakes that weren’t being yelled out for, but neither was an abomination! I think watchable but unchallenging is a pretty good round-up. Haha totally. I don’t feel any urge to rewatch it. Entertaining but nothing more!! I agree with most of the posts and your review, in that it wasn’t a bad film, it’s definitely my definition of a popcorn film (no brains required)!! I was surprised it managed to keep its 12A rating though as the opening sequences showed suicide bombers!! The viewing I went to had quite a few younger kids in the audience and I don’t think many parents were expecting that! I actually didn’t even think of that point… Very good insight there!! It’s definitely a harder 12A than something like Spider-Man!! Clearly only blood and swearing make a 15… Odd!! I agree with you for the most part. Not that you’re claiming the movie is anything to write home about, but I probably enjoyed it a little less than you. It’s strange, I can’t think of a single high point in the film. Nothing leaps out as particularly well done. Everything is kind of just good enough, which is really disappointing as a whole. 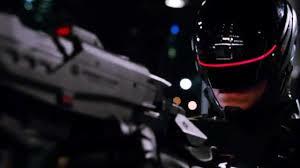 My high points were Samuel L Jackson based… I think that in itself tells you a lot about the film; namely the fact that Robocop wasn’t the be all and end all of the movie. We’re totally with you twofeet! In my case – nothing could redeem this movie for me, not even Samuel L. Jackson and I just flat out hated it! Wow! I must say, I expect to see far worse films this year. Many of them… The year has just started off far too well! !